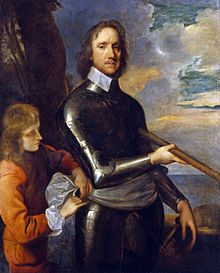 Oliver Cromwell (25 April 1599 – 3 September 1658) was an English statesman, soldier, and revolutionary responsible for the overthrow of the monarchy, temporarily turning England into a republican Commonwealth, and assuming rule as Lord Protector of the Commonwealth of England, Scotland, and Ireland. His son took this position after he died until King Charles II was crowned king. Letter to Colonel Valentine Walton (5 July 1644), following the Battle of Marston Moor. Variant: One never rises so high as when one does not know where one is going. I was by birth a gentleman, living neither in any considerable height, nor yet in obscurity. I have been called to several employments in the nation — to serve in parliaments, — and ( because I would not be over tedious ) I did endeavour to discharge the duty of an honest man in those services, to God, and his people’s interest, and of the commonwealth; having, when time was, a competent acceptation in the hearts of men, and some evidence thereof. As quoted in Anecdotes of Painting in England (1762-1771) by Horace Walpole often credited as being the origin of the phrase "warts and all". Variant: Paint me as I am. If you leave out the scars and wrinkles, I will not pay you a shilling. Attributed by William Blacker (not to be confused with Valentine Blacker), who popularized the quote with his poem "Oliver's Advice", published under the pseudonym Fitz Stewart in The Dublin University Magazine, December 1834, p. 700; where the attribution to Cromwell appears in a footnote describing a "well-authenticated anecdote" that explains the poem's title. The repeated line in Blacker's poem is "Put your trust in God, my boys, but keep your powder dry". Variant: Trust in God and keep your powder dry. The commonest charge against Cromwell is hypocrisy — and the commonest basis for that is defective chronology. Oliver Cromwell had certainly this afflatus. 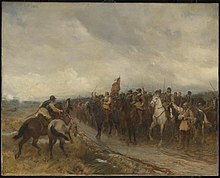 One that I knew was at the battle of Dunbar, told me that Oliver was carried on with a Divine impulse; he did laugh so excessively as if he had been drunk; his eyes sparkled with spirits. He obtain’d a great victory; but the action was said to be contrary to human prudence. The same fit of laughter seized Oliver Cromwell just before the battle of Naseby; as a kinsman of mine, and a great favourite of his, Colonel J. P. then present, testified. Cardinal Mazerine said, that he was a lucky fool. To give the devil his due, he restored justice, as well distributive as commutative, almost to it’s ancient dignity and splendour; the judges without covetousness discharging their duties according to law and equity... His own court also was regulated according to a severe discipline; here no drunkard, nor whoremonger, nor any guilty of bribery, was to be found, without severe punishment. Trade began again to prosper; and in a word, gentle peace to flourish all over England. Cromwell had delivered England from anarchy. His government, though military and despotic, had been regular and orderly. Under the iron, and under the yoke, the soil yielded its produce. Above all, the conscience of man must recoil from the monster of a faction-god projected from the mind of an ambitious, interested politician on whose lips "righteousness" and "mercy" were mockery. Not even the hard pleas of necessity or the safety of the State can be invoked. 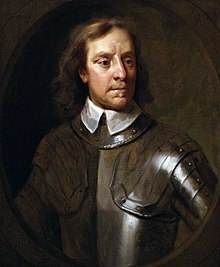 Cromwell in Ireland, disposing of overwhelming strength and using it with merciless wickedness, debased the standards of human conduct and sensibly darkened the journey of mankind. Cromwell's Irish massacres find numberless compeers in the history of all countries during and since the Stone Age. It is therefore only necessary to strip men capable of such deeds of all title to honour, whether it be the light which plays around a great captain of war or the long repute which covers the severities of a successful prince or statesman. We have seen many ties which at one time or another have joined the inhabitants of the Western islands, and eve in Ireland itself offered a tolerable way of life to Protestants and Catholics alike. Upon all of these Cromwell's record as a lasting bane. By an uncompleted process of terror, by an iniquitous land settlement, by the bloody deeds already described, he cut new gulfs between the nations and the creeds. "Hell or Connaught" were the terms he thrust upon the native inhabitants, and they for their part, across three hundred years, have used as their keenest expression of hatred, "the curse of Cromwell on you." The consequences of Cromwell's rule in Ireland have distressed and at times distracted English politics even down to the present day. To heal them baffled the skill and loyalties of successive generations. They became for a time a potent obstacle to the harmony of the English-speaking peoples throughout the world. Upon all of us there still lies "the curse of Cromwell." This day (to the stupendous and inscrutable Judgements of God) were the Carcasses of that arch-rebell Cromwell and Bradshaw the judge who condemned his Majestie & Ireton, son-in-law to the Usurper, dragged out of their superbe tombs (in Westminster among the Kings), to Tyburn & hanged on the Gallows there from 9 in the morning til 6 at night, and then buried under that fatal and ignominious monument, in a deepe pitt: Thousands of people who (who had seen them in all their pride and pompous insults) being spectators: look back at November 22, 1658, & be astonish’d - And fear God & honour the King, but meddle not with those who are given to change. In a word, as he was guilty of many crimes against which Damnation is denounced, and for which hell-fire is prepared, so he had some good qualities which have caused the memory of some men in all Ages to be celebrated; and he will be look’d upon by posterity as a brave bad man. "I am," said he, "as much for a government by consent as any man; but where shall we find that consent? Amongst the Prelatical, Presbyterian, Independent, Anabaptist, or Leveling Parties? "… then he fell into the commendation of his own government, boasting of the protection and quiet which the people enjoyed under it, saying, that he was resolved to keep the nation from being imbrued in blood. I said that I was of the opinion too much blood had already been shed, unless there were a better account of it. "You do well," said he, "to charge us with the guilt of blood; but we think there is a good return for what hath been shed." The Protector's foreign policy at the same time extorted the ungracious approbation of those who most detested him. The Cavaliers could scarcely refrain from wishing that one who had done so much to raise the fame of the nation had been a legitimate King; and the Republicans were forced to own that the tyrant suffered none but himself to wrong his country, and that, if he had robbed her of liberty, he had at least given her glory in exchange. After half a century during which England had been of scarcely more weight in European politics than Venice or Saxony, she at once became the most formidable power in the world, dictated terms of peace to the United Provinces, avenged the common injuries of Christendom on the pirates of Barbary, vanquished the Spaniards by land and sea, seized one of the finest West Indian islands, and acquired on the Flemish coast a fortress which consoled the national pride for the loss of Calais. She was supreme on the ocean. She was the head of the Protestant interest. All the reformed Churches scattered over Roman Catholic kingdoms acknowledged Cromwell as their guardian. John Milton, Sonnet XVI, "To the Lord General Cromwell"
Morrissey in the song "Irish Blood, English Heart"
The Commonwealth of England, Scotland and Ireland and of the Dominions thereunto belonging, shall be and reside in one person, and the people assembled in parliament; the style of which person shall be "The Lord Protector of the Commonwealth"… That Oliver Cromwell, Captain General of the forces of England, Scotland and Ireland, shall be, and is hereby declared to be, Lord Protector...for his life. The man who persisted in calling himself the "son of God"— he later acknowledged that he had many brothers — was demanding nothing less than that the military ruler of all England should forthwith disavow all violence and all coercion, make Christ's law of love the supreme law of the land, and substitute the mild dictates of the Sermon on the Mount for the Instrument of Government by which he ruled. In a word, Fox would have him make England a kind of pilot project for the Kingdom of Heaven. Fox was a revolutionary. He had no patience with the relativities and compromises of political life. His testimony was an uncompromising testimony for the radical Christian ethic of love and non-violence, and he would apply it in the arena of politics as in every other sphere of life. It is not recorded that Cromwell took his advice. I... had occasion to converse with Mr Cromwell’s physician, Dr Simcott, who assured me that for many years his patient was a most splenetick man and had phansies about the cross in that town; and that he had been called up to him at midnight, and such unseasonable hours very many times, upon a strong phansy, which made him belive he was then dying; and there went a story of him, that in the day-time, lying melancholy in his bed, he belived the spirit appeared to him, and told him he should be the greatest man, (not mentioning the word King) in this Kingdom. Which his uncle, Sir Thomas Steward, who left him all the little estate Cromwell had, told him was traiterous to relate. I came into the House one morning, well clad, and perceived a gentleman speaking whom I knew not, very ordinarily apparelled, for it was a plain cloth suit, which seemed to have been made by an ill country tailor. His linen was plain, and not very clean; and I remember a speck or two of blood upon his little band which was not much larger than his collar. His hat was without a hat-band. His stature was of a good size; his sword stuck close to his side; his countenance swoln and reddish; his voice sharp and untuneable, and his eloquence full of fervor.